Well it must be Friday… Seems like recall notices always get to my attention on Fridays… I have no clue why folks, but it seems to be the way it goes. I’m currently sitting here listening to a Frank Sinatra Christmas LP relaxing after a ten hour day painting and am exhausted! So with that I’ll keep this short and informative. 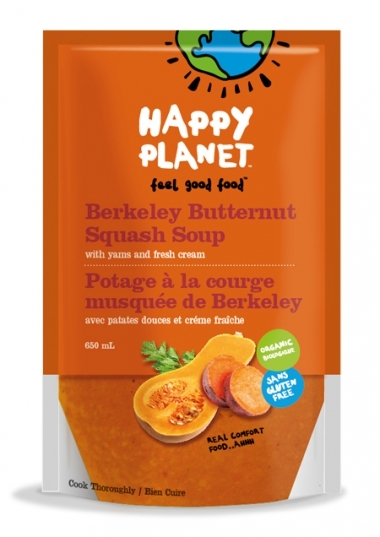 If you recently purchased Happy Planet Butternut Squash Soup I’d advise you to Squash that idea for dinner (bet you didn’t see that coming!) 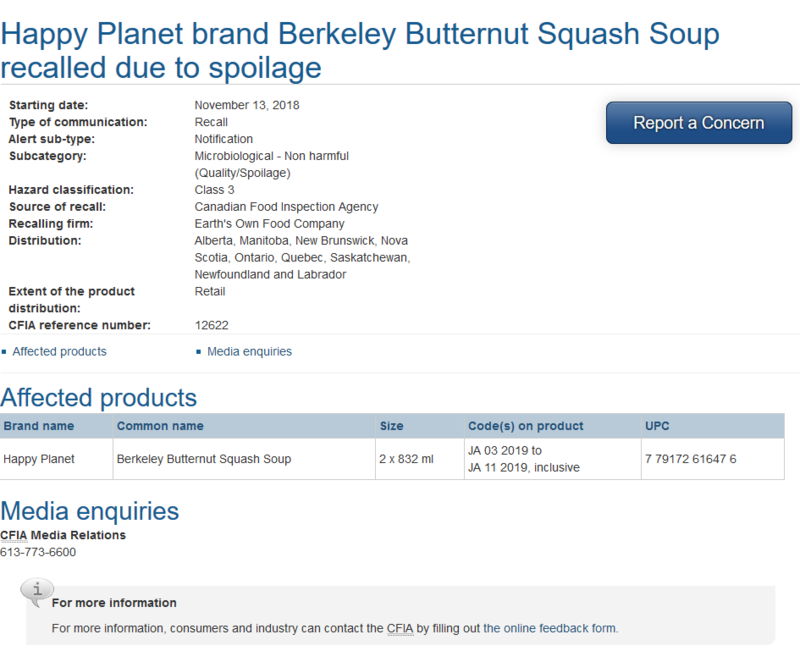 due to a recall for (as the CFIA calls it) Quality/Spoilage. 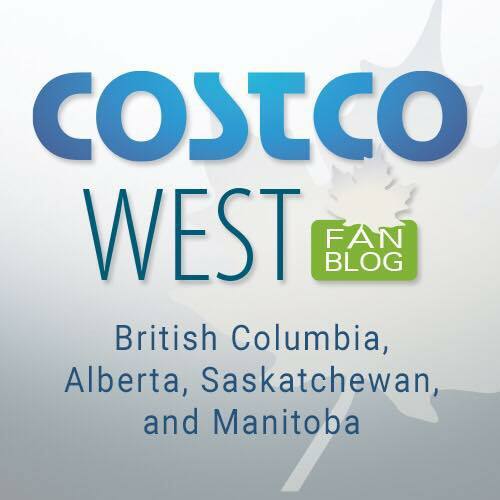 The product was sold in Costco’s in the following provinces: Alberta, Manitoba, New Brunswick, Nova Scotia, Quebec, Saskatchewan, Newfoundland and Labrador. 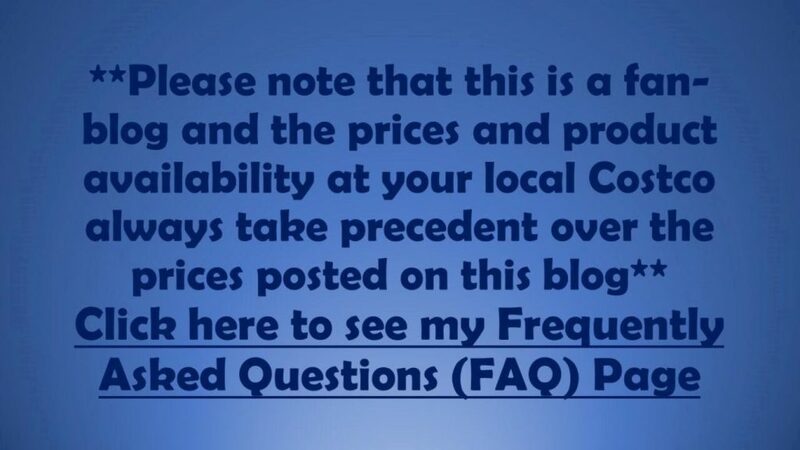 If you have purchased the product, please discard the contents. The package (used or unopened) can be returned to Costco for a full refund. Well I hope this finds you all well, or at least better than me… I’ve finally succumb to the stupid cold that’s floating around, but at least I’m not having that soup for dinner, I’ll stick to good ‘ol Chicken Noodle comfort food! On that note, I’m going to go and rest up… I don’t want to be shopping on Monday with this silly cold. Take care folks, see you on Monday. A few years ago, Costco had the best chicken noodle soup made ‘in house’ from the leftover rotisserie chicken…. it was amazing! Thank you Jan, it’s getting better though not completely gone. I also have no doubt that rotisserie chicken noodle soup would be absolutely fantastic!! !